The hare is widely represented in world mythology and from ancient times has had divine associations. Its swiftness and elusive behaviour, particularly at night, have reinforced its reputation as a magical creature. 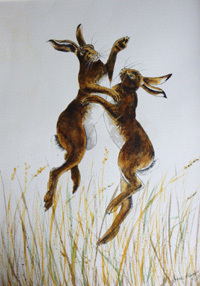 The hare was believed to have mystical links to the female cycle and to the moon which governed it. Both the hare and the rabbit have lunar associations and are fertility symbols in many cultures. In China for example, the hare represents reproductive power and longevity. The hare and rabbit both appear regularly as trickster figures, most notably in the Brer Rabbit tales, traditional African stories taken to American plantations by slaves. In early Saxon times the Goddess Eostre, from whom the Christian feast of Easter takes its name, was said to rule over the spring. Her sacred animal was the hare which was also the symbol of the moon. It so happens that the gestation period of a hare is 28 days which is comparable with the moon’s monthly cycle. It’s interesting to note that the female monthly cycle is affected by the hormone oestrogen and also lasts about 28 days. 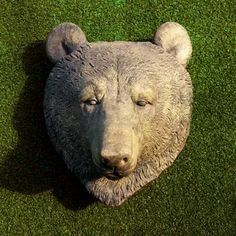 In Celtic mythology and folklore everything in nature possesses a spirit, and animism, the belief that non-human entities have a spiritual essence, was widely held in the pre-Christian Celtic pantheon, remaining strong even today. 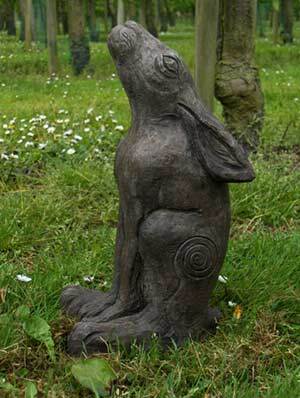 Celtic peoples looked on the hare as a creature having supernatural powers and strong links to the spirit world. In Irish folklore the hare is often associated with the Otherworld, a spiritual dimension accessed through caves, ancient burial sites, cairns and mounds. A remarkable and beautiful animal, this singular creature was admired for its strength and speed, and therefore treated with caution and respect. When the Romans invaded the British Isles, Julius Caesar observed that the Celtic people regarded it unlawful to eat the hare. 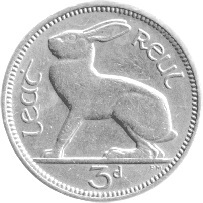 Its significance in Ireland, even up to the present day was shown when for many years the hare was depicted on the pre-decimal coin, the Irish threepenny piece. 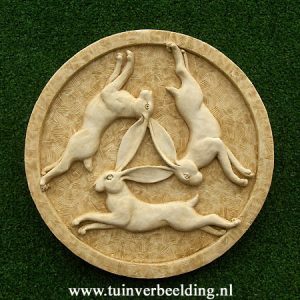 The ancient symbol of the three dancing hares is a puzzle in more ways than one. 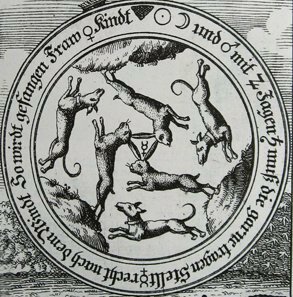 The design depicts three hares chasing one another in an endless circle with each hare having only one ear, but joined in such a way that they appear to have two. The oldest known example of the three hares symbol is in the Buddhist cave temples at Mogao, near Dunhuang, China, created during the Sui to Tang dynasties (581-907 AD). The mysterious symbol has since travelled far and wide and sightings of the three hares are frequent along the Silk Road connecting Asia with the Mediterranean and North Africa. Many other examples can be found in France, Germany, Switzerland, Southern Russia, Iran and Nepal. The earliest European examples date to around AD1200 with those found in Cornwall, England dated at about AD1300. Following Christian appropriation of pagan rituals and beliefs the three hares symbol may have been associated with their own goddess, the Virgin Mary, which might explain why a three hares boss is widely found in western European churches, often in close proximity to a carving or image of the Green Man. While no contemporary written record of the three hares symbol’s meaning has ever been discovered its prominent placing in sacred shrines and churches, and its frequent depiction on objects as varied as fabrics, metalwork and pottery shows clearly that the motif was revered in all the different contexts in which it appears.